Last week ended on a high note. I was so thankful to be able to attend and present at the Michigan Reading Association conference in Grand Rapids. For a reflection of my experience, you can read my post on my teaching blog. Wow! I'm not very far into this but I'm already hooked. McCormick does it again. I think she is going to be a go-to author for me from now on. I will definitely be booktalking this one to students. The premise of the story is that a young American soldier (only 18) encounters a rocket-propelled grenade and wakes up in the hospital with a traumatic brain injury. Because of his head trauma, he can't remember everything that happened, but the image of a young Iraqi boy being shot continues to haunt him even though he can't put the pieces together as to if/how he was involved in the boy's death. Not an easy read but a beautiful one. So glad I stuck with it. I need to write a longer review of this book soon because it is SO. GOOD. 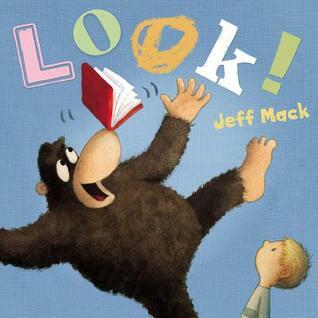 But know this: Tricky Vic is not a picture book for little kids. This is an upper-elementary, middle school, and high school title. 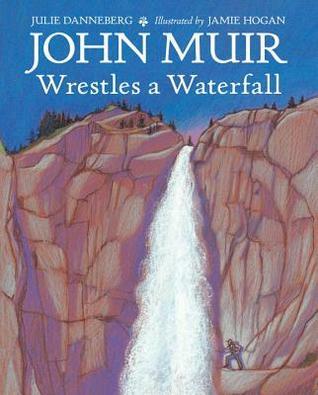 The entire book only uses two words, but what a story it tells. A gorilla tries to get the attention of a little boy who is hypnotized by his TV and suddenly must think of something else to occupy his time when the TV breaks due to the gorilla's clumsy attempt to engage the boy. A great pairing with Look! would be Lane Smith's It's a Book. All the books look interesting. I may end up having a gorilla themed IMWAYR soon, lol. 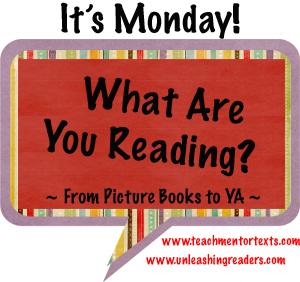 I feel like I'm in a reading rut too. Starting and abandoning lots of books, unable to commit, and definitely unable to finish anything. I'm not sure what I need to do to snap out of it, but it's very tiresome! Still need to read I'll Give You The Sun, & Find Tricky Vic. I'll order Purple Heart for sure. I have several students who will love the premise. Thanks, Beth. I enjoyed I'll give you the sun, but it wasn't one of my favourite books so far this year. 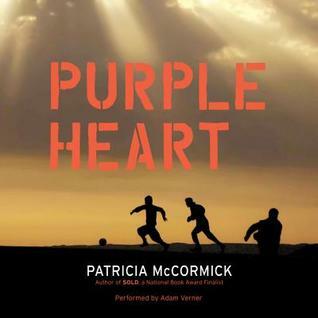 Purple Heart sounds like a powerful story so I'll look forward to it. 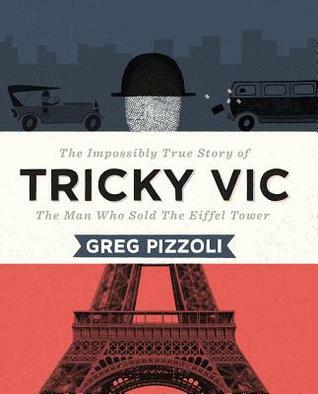 I just bought Tricky Vic - before reading it! I've heard so many glowing reviews. I was at an indie and figured what better place to do an impulse purchase! Look just came in for me at the library. I'll Give You the Sun is on my #mustread list. I should get to it this year! Thanks for your review of MRA. It's a conference I'd like to get to some day! I've been in those ruts. Not a fun feeling, but it usually passes once I catch a book that I adore again. I wish you the best on that. Thanks for the reviews. 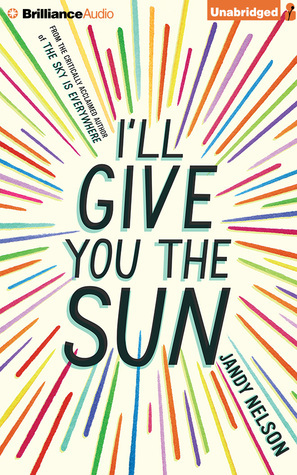 I really liked I'll Give you the Sun - a book that needs to be read all in a quick burst in my opinion! How on Earth do you get so much reading done?! Even the books I read with my ears take so much time. I've been listening to audio books on the way to and from games and track meets, since reading makes me car (bus) sick. But even so, I feel like you just dominate!!! Way to go. Hopefully I can link up with WAYR Mondays some day! I read Jandy Nelson's The Sky is Everywhere and was surprisingly very happy about it. Would most likely grab a copy of I'll Give You the Sun before the year ends.